Please do not be alarmed by this enormous picture. What can I say? It’s a big show with big dreams. 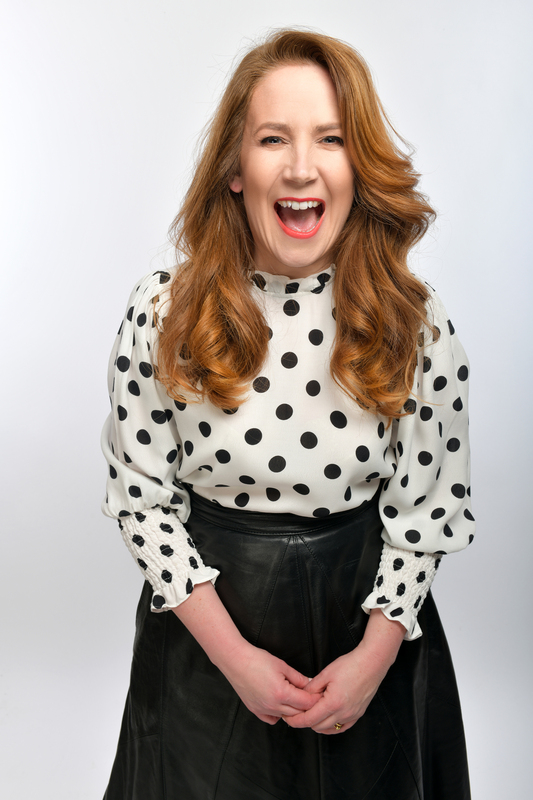 My new Edinburgh show Vivalicious is currently previewing all over the place and booking at Underbelly Med Quad for Edinburgh Fringe 1-26 August (13 Aug off) at 4.10pm opens this weekend here: http://www.underbellyedinburgh.co.uk. The theme? Being your best self in preparation for the coming era of President Oprah Winfrey. Is there ever really a point to self-improvement or is it time for us (ie. me) to accept that we are all a bit rubbish and we (ie. I) quite like it that way? BRIGHTON FRINGE: 11, 12, 25, 26 May, 1, 2 June 8pm, The Claremont Hove. Tickets here. TWICKENHAM: 23 MAY at The Exchange. Tickets here. BRISTOL: 30 MAY at White Rabbit Bristol. See here. CATFORD FRINGE FESTIVAL: 5 JUNE at Broadway Theatre. Tickets here. BIRMINGHAM: 7 JUNE at The Hexagon. Tickets here. KINGSTON: 29 JUNE at Crack Comedy. Tickets here. BARNES: 5 JULY at OSO Arts. Tickets here. 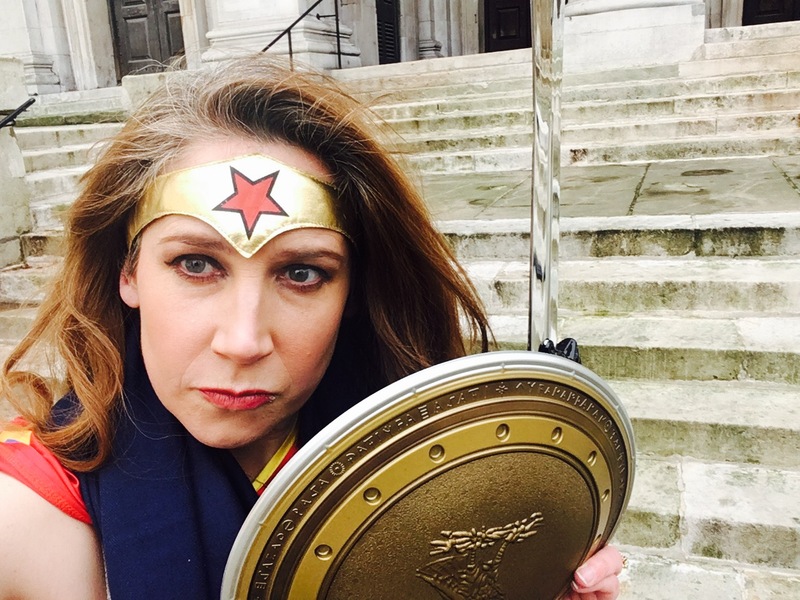 CENTRAL LONDON: Museum of Comedy: 9, 10, 24, 25 JULY. 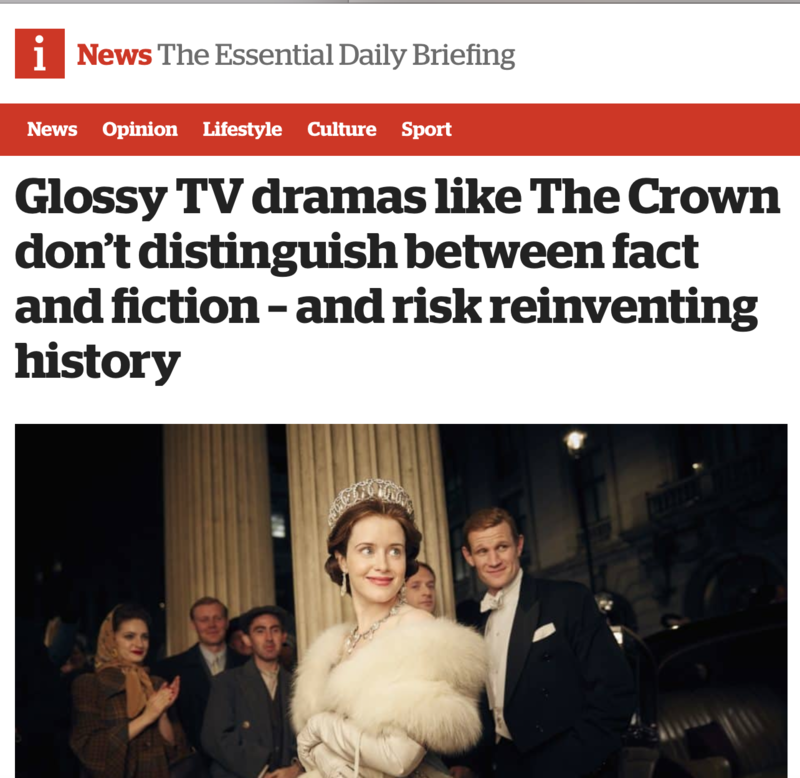 Press preview 10 July. (Contact maura@mauracommunications.com for press tickets.) All at 7pm except 24 July at 8.30pm. Tickets here. GUILDFORD: 17 JULY at The Star Inn. Tickets here. TEDDINGTON: 12 JULY at The Anglers. Tickets here. FROME, SOMERSET: 14 JULY at The Merlin Theatre. Tickets here. 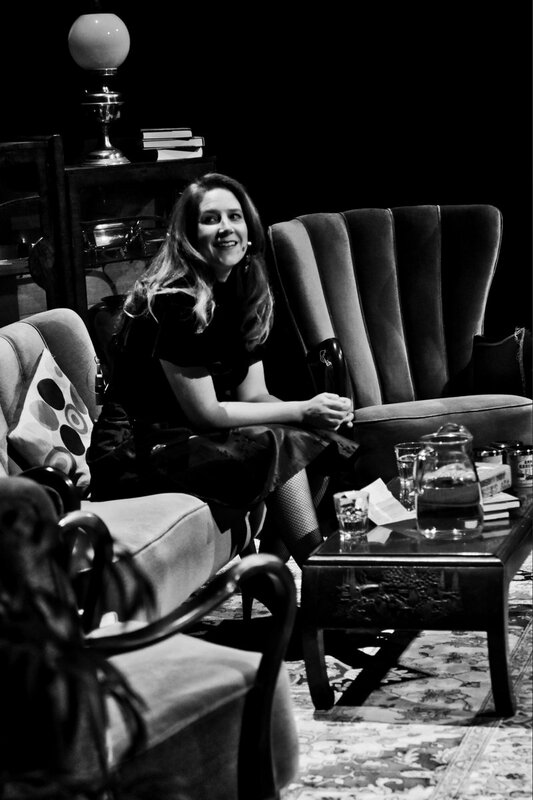 So thrilled to get this interview with Kseniya Sobchak, Russia’s female presidential candidate, for today’s G2 in the Guardian. Did I work out whether she’s a stooge or the real deal? I wish. Thanks to Pushkin House (where I’m a trustee) and to Owen Matthews of The Spectator who made this interview happen. 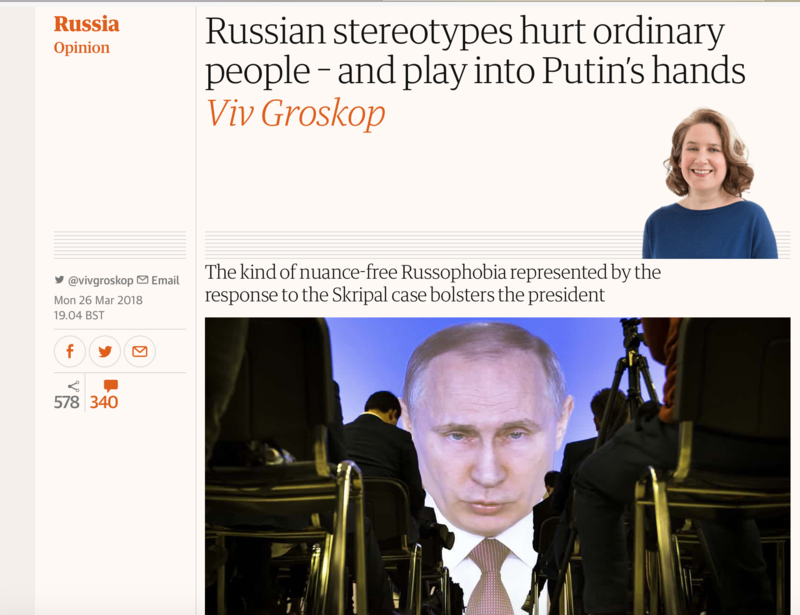 Writing in today’s Guardian about Russia and the dangers of stereotypes. 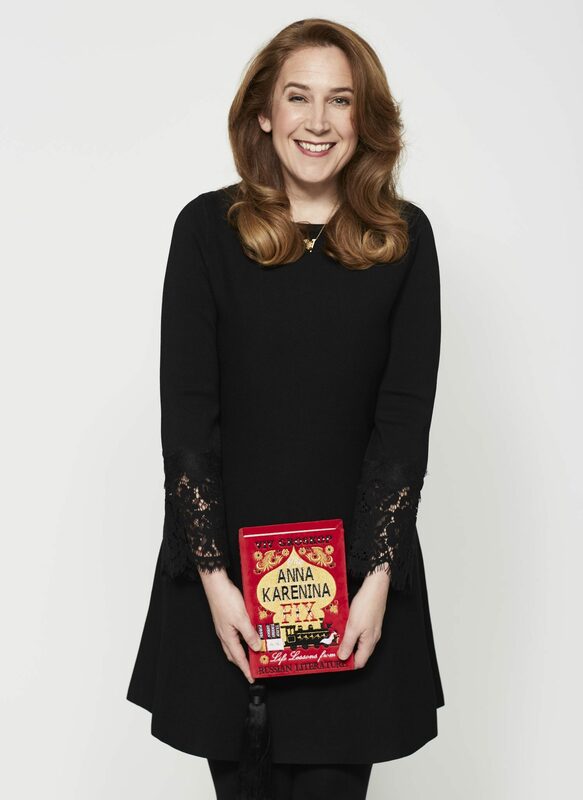 Thanks to everyone who has reviewed The Anna Karenina Fix, especially on Amazon and Goodreads. All authors hate the idea of being reviewed but the fact of being reviewed is what sells books… Thanks also to all the literature festivals who have hosted this autumn, especially Folkestone who were the last stop on the tour (pictured here). More events coming in 2018. “Like the best sort of conversation with a wise, hilarious and well-read friend. Sitting somewhere between memoir, literary criticism and comedy, this book slips down like iced vodka and is brilliantly entertaining. Viv Groskop shows us not only why the great Russian classics should matter to us today, but unpicks the contradictions of the “Russian soul”, right down to Tolstoy’s penchant for eggs.” — Sofka Zinovieff, author of The Red Princess. “A superb book. I loved it.” — Vesna Goldsworthy, author of Chernobyl Strawberries. 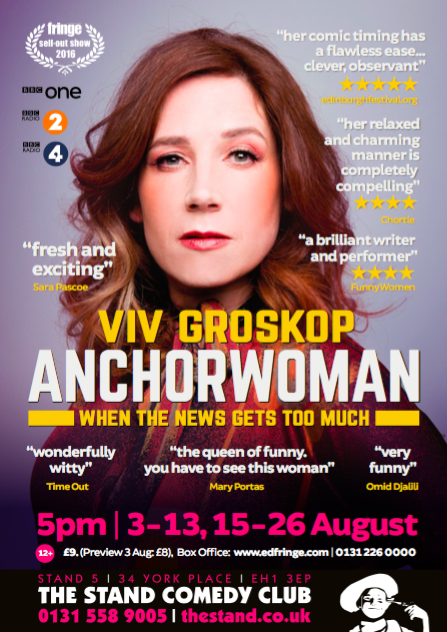 Thanks to everyone who has supported Anchorwoman: When the News Gets Too Much all this year and this summer in Edinburgh. It was an insane idea to do a show about the news when everyone is completely sick of the news but hopefully it provided some respite in a warped way. Massive thank you to Zedel where I just did the last show (and messed up the Powerpoint for the first and last time by starting it on the last slide instead of the first — d’oh). 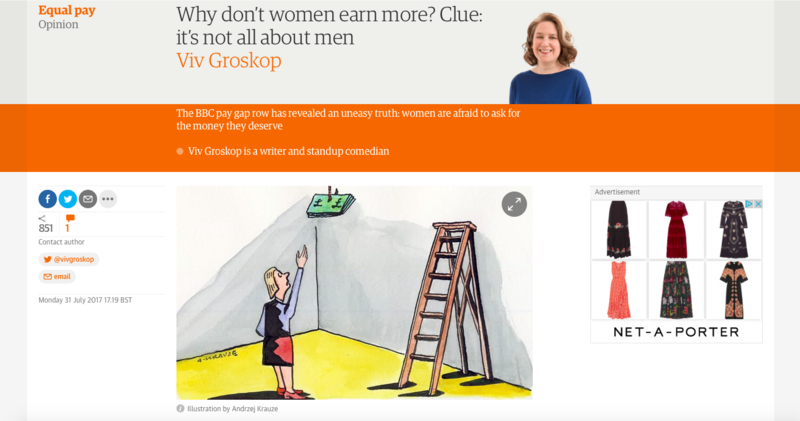 Writing in today’s Guardian about the business of the BBC best-paid list, equal pay and “money mindset”. “If we can find who – or what – to blame, we know what to change. Is it the culture? Is it men? Or is it women, afraid to ask for what they’re worth? The reality is that it’s a messy combination of all these things. But only one of them can be changed quickly: how women feel about themselves and their value. This is difficult stuff to talk about. Philip Hampton, co-chair of a government-commissioned review into the number of women in senior business roles, was reviled last week for saying that the BBC women on the best-paid list “let it [the pay gap] happen because they weren’t doing much about it”. During his career in the City, he said, “lots of men have trooped into my office saying they are underpaid, but no woman has ever done that”. Woman’s Hour presenter Jane Garvey hit back, saying he was “peculiarly out of touch”.